During the mid-sixties, folk music on both sides of the Atlantic was growing in popularity, in America and Britain. It was a similar case in Ireland, where a number of folk bands were founded, including The Johnstons in Slane, County Meath, whose original lineup featured Adrienne Johnston, her younger sister Lucy and brother Michael. When The Johnstons started out in the early sixties, they had a ready-made venue on their doorstep, their father Marty’s pub in Slane. That was where they made their debut, singing Irish ballads and folk songs in their father Marty’s pub in Slane, with Michael Johnston playing a twelve-string guitar as Adrienne and Lucy sang harmonies. This went down well with the customers, and soon, people were coming to the pub to see The Johnstons sing. Before long, The Johnstons were heading further afield. It wasn’t long before The Johnstons started to get bookings in the Dublin area, and made their to the capital of the Republic Of Ireland. By then, the group had only been together for a short time. This made what happened next a remarkable achievement. The Johnstons decided to enter the first ever Wexford Ballad Competition in February 1966. At stake was a £100 first prize and more importantly, an appearance on the Irish television programme the Late Late Show. Despite their relative inexperience Adrienne Johnston, her sixteen year old younger sister Lucy, and brother Michael triumphed and won the inaugural Wexford Ballad Competition. They arrived home that night £100 richer and with an appearance on the Late Late Show to look forward to. The Johnstons had come a long way in a short. Life was about to get even better for The Johnstons, who were offered a recording contract by Pye Records. 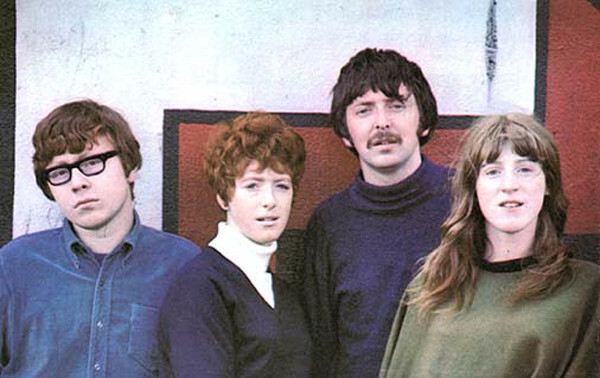 One of the first songs The Johnstons recorded was a cover of Ewan McColl’s The Travelling People, which topped the Irish charts in 1966. This transformed The Johnstons career and indeed lives. Suddenly, The Johnstons embarked upon a gruelling touring schedule and were constantly on television. They also had to find time to record a second single. Before that, Michael Johnston left the band that he had founded, and was replaced by Paul Brady who would go on to enjoy a long and successful solo career and become one of the biggest names in Irish music. When Paul Brady from Strabane, County Donegal, joined The Johnstons, he came from a very different musical background, and had previously played in various R&B and beat groups. He was a talented musician and vocalist who would play an important part in The Johnstons’ success. However, Paul Brady wasn’t the only new name joining The Johnstons. The other musician joining The Johnstons was Limerick born Mick Moloney, a multi-instrumentalist, who had been a member of The Emmet Folk Group. He had also worked with a number of well known Irish traditional musicians. Mick Moloney and Paul Brady made their debut on The Johnstons’ sophomore single. For their followup to The Travelling People, The Johnstons recorded and released The Alamo later in 1966. It charted and The Johnstons’ popularity continued to grow. By then, The Johnstons were a popular draw and in Dublin and a familiar face in city’s folk scene. The addition of Paul Brady and Mick Moloney had allowed The Johnstons to expand their repertoire. This ensured that The Johnstons’ popularity continued to grow. Especially when The Johnstons’ third single I Never Will Marry was released by the Pye Records’ imprint Target in 1967 and charted. This was the group’s third consecutive single, but still, The Johnstons hadn’t released an album. However, this would change when they signed to the London-based Transatlantic Records in early 1968. Signing to Transatlantic Records was the start of a new chapter for The Johnstons, who many critics though were on the verge of making a breakthrough in Britain and Europe. Their music, which was a mixture of folk songs and traditional music had found an audience in Ireland, and Transatlantic Records hoped would soon, find an audience further afield. When it came to choosing their debut single The Johnstons recorded and released They’ll Never Get Their Man on Transatlantic Records in 1968. 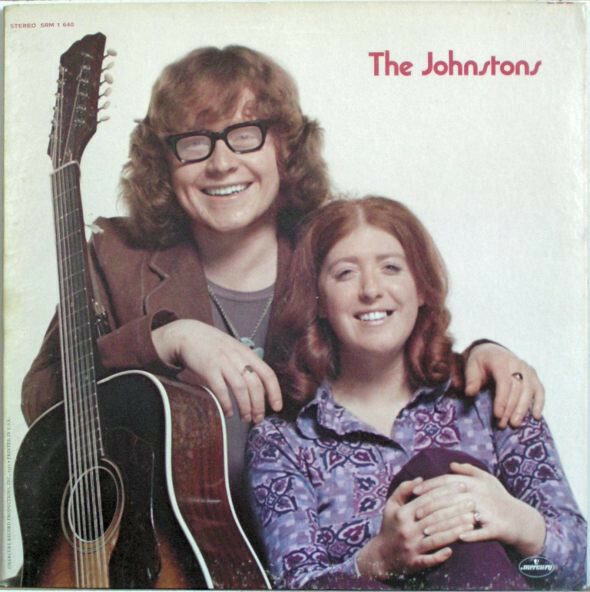 Just like their three previous singles, it gave The Johnstons a hit single in Ireland. Later in 1968, The Johnstons released their eponymous debut album which featured a mixture of folk songs and traditional music. This proved popular in Ireland and was a commercial success. Further cementing The Johnstons reputation was one of Ireland’s leading folk groups was the success of the Gaelic language singe Gleanntáin Ghlas Ghaoth Dobhair they released on the Gael Linn Records. By then, The Johnstons’ popularity was at an all-time high in Britain and Ireland and critics on both sides of the Irish Sea were praising the group. After the success of their eponymous debut album, The Johnstons returned in 1969 with not one, but two albums, Give A Damn and The Barley Corn which they released simultaneously. The two albums showcased a versatile band who were able to interpret, arrange and perform a wide range of different songs that would appeal to do different types people. The Barley Corn saw The Johnstons return to the sound that featured on their eponymous debut album, and was a mixture of folk songs and traditional Irish and Scottish music. This proved popular, as the music chosen replicated The Johnstons’ live sound. However, The Barley Corn featured a polished performance from The Johnstons, who changed direction on Give A Damn, which was another successful album. Part of the success of Give A Damn were the songs that were chosen by The Johnstons and the album’s much more contemporary sound. The Johnstons covered Ewan McColl’s, Sweet Thames Flow Softly and Dave Cousins of The Strawbs’ You Keep Going Your Way. Three of the songs on Give A Damn were by two up-and-coming singer-songwriters. One of these was Joni Mitchell, who wrote Urge For Going and Both Sides, while Leonard Cohen penned Hey That’s No Way To Say Goodbye. These songs were joined Julia and Walking Out On Foggy Mornings which were penned by Irish songwriter Jon Ledingham. These songs featured a slick sounding performance from The Johnstons and a contemporary sound that found favour with a wider audience. After the success of The Barley Corn and Give A Damn, The Johnstons decided that the only way to further their career, was to make the journey across the Irish Sea to London. This was a journey many Irish artists and bands had made over the years. However, Lucy Johnston didn’t want to leave her home in Dublin, where she had married photographer Roy Esmonde. As a result, there was only one original member of The Johnstons left in the band, and even Adrienne Johnston would later come to regret making the journey to London. By the time The Johnstons started work Bitter Green, they were regularly touring Britain, Ireland and Europe, especially Germany, Holland and Scandinavia where their popularity was growing. The Johnstons’ music often featured on radio and they were making regular appearances on television. The Johnstons had come a long way since they started singing in Marty’s pub in Slane. For Bitter Green, The Johnstons decided to combine the music that had featured on The Barley Corn and Give A Damn. Covers of Ewan McColl’s Jesus Was A Carpenter, Gordon Lightfoot’s The Gypsy and Bitter Green joined Leonard Cohen’s The Story Of Isaac and Joni Mitchell’s Marcie. These songs were a reminder of the music on Give A Damn, while a selection of traditions songs harked back to The Barley Corn and their eponymous debut album The Johnstons. This included Lord Thomas and Fair Ellender, The Kilfenora Jig, Fiddler’s Green and The Penny Wager. They were joined by reels a medley of reels which included The Fair Haired Boy, Kiss The Maiden Behind The Barrel and The Dawn which were all arranged by Paul Brady, Adrienne Johnston and Mick Moloney. The recording of Bitter Green took place at Sound Techniques, in London, where The Johnstons recorded their next single. It was a cover of Ralph McTell’s Streets Of London, which as apt given The Johnstons had just relocated from Dublin to London a year ago. When Bitter Green was released later in 1969, it found favour amongst critics on both sides of the Irish Sea. Bitter Green was regarded as one the best albums of The Johnstons’ career so far. It was certainly the most eclectic of the four albums that The Johnstons had released on Transatlantic Records. 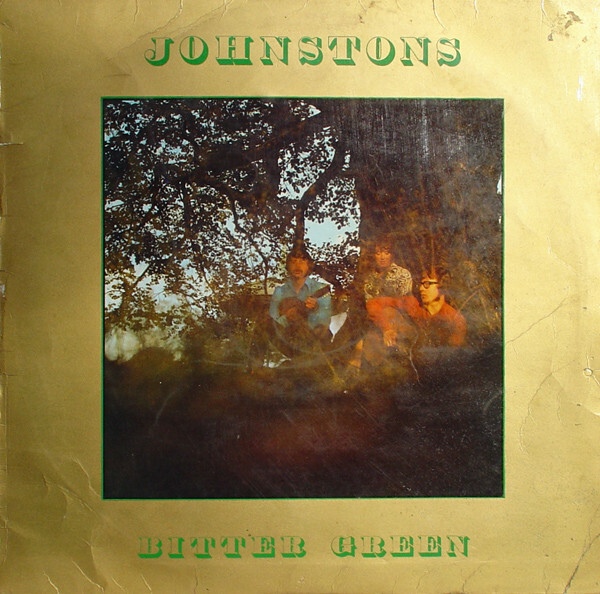 For some, critics the contemporary sound that The Johnstons revisited on Bitter Green had a much wider appeal than the traditional Irish music. This they believed in the long term, had a limited audience outside of Ireland and the Irish diaspora. Traditional music some critics felt that it would only take The Johnstons so far. However, at that time it seemed unlikely that The Johnstons would turn their back on their musical roots. After the release of Bitter Green, which sold reasonably well, The Johnstons released their cover of The Streets Of London as a single. in 1970. This was followed by The Johnstons Sampler later in 1970, which featured tracks from their first three albums and their singles. The Johnstons Sampler bought the group time while they recorded their sixth album Colours Of The Dawn. After a tour of Britain and Ireland, The Johnstons returned to Sound Techniques, in London, where they recorded their next album Colours Of The Dawn. By then, Chris McCloud was part of The Johnstons inner circle after he began a relationship with Adrienne Johnston and the pair would eventually marry. Before that, he produced Colours Of The Dawn which marked the start of a new chapter in The Johnstons’ career. Unlike previous albums, The Johnstons dispensed with the traditional Irish music that had been a feature of their previous album and moved towards a much more contemporary sound. To do this, Paul Brady wrote Brightness, She Came and penned Colours Of The Dawn and I’ll Be Gone In The Morning with Chris McCloud. He also contributed Crazy Anne and Angela Davies. Cover versions included Gordon Lightfoot’s If I Could, Leonard Cohen’s Seems So Long Ago, Nancy, Ian Campbell’s The Old Man’s Tale and Peggy Seeger’s Hello, Friend. These nine songs would become Colours Of The Dawn which was released in January 1971. 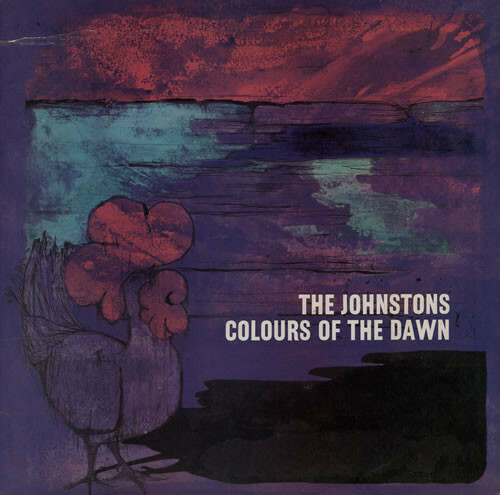 Critics on hearing Colours Of The Dawn, heard a very different album from The Johnstons, whose songs were full of social and political comment to from The Johnstons. They commented on recent political events and even broached the subject of political subversives. The Johnstons also commented on racism and the class struggle on Hello, Friend and The Old Man’s Tale which bookended the album. On the Paul Brady compositions he ruefully remembers the illusory and fleeting nature of relationships, on Brightness, She Came and on I’ll Be Gone In The Morning. There’s a cinematic quality to Colours Of The Dawn, and beautiful, poignant covers of Gordon Lightfoot’s If I Could and Leonard Cohen’s ruminative reading of Seems So Long Ago, Nancy. They played their part in the sound and success of Colours Of The Dawn, which was The Johnstons’ finest album. The Johnstons’ decision to release an album without any traditional Irish music had paid off. It was as if they had belatedly realised that traditional Irish music was only going to take them so far. 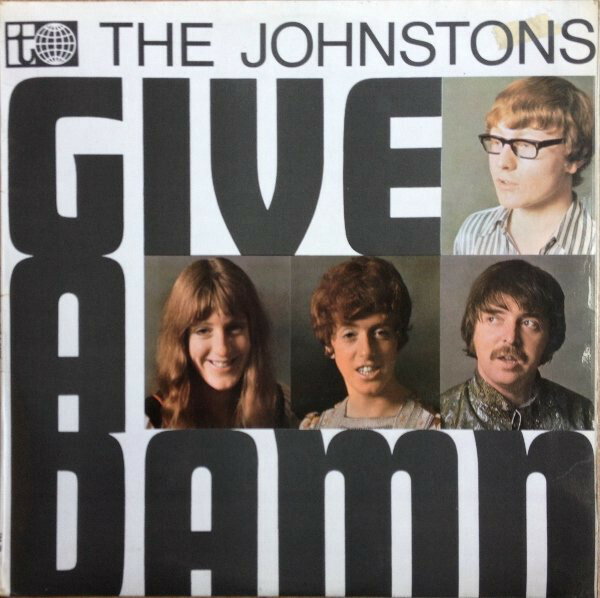 Having realised this, The Johnstons decided to return the contemporary sound of Give A Damn. This paid off, when Colours Of The Dawn sold well and was released by Vanguard in America later in 1971. Just when things were going well for The Johnstons, Mick Moloney decided to leave the band. For The Johnstons this was a huge blow, but they decided to continue as a duo. Later in 1971, the two reminding members of The Johnstons toured America for the first time, and opened for Joan Baez in front of an audience of 20,000. They then appeared at Gerde’s Folk City in New York, played at the Philadelphia Folk Festival and opened for Arlo Guthrie and Bonnie Raitt. This was all good experience for The Johnstons, who when they retrained home, would begin work on their next album, If I Sang My Song. If I Sang My Song. By the time work began on If I Sang My Song, Adrienne Johnston and Paul Brady had made the decision to relocate, this time to America, where New York became their latest base. However, The Johnstons returned to London to record If I Sang My Song, once the material for the album was completed. By then, the two remaining members of The Johnstons had chosen the ten songs, that became If I Sang My Song. This included December Windows and Continental Trailways Bus which were penned by Paul Brady. He and Chris McCloud wrote The Wind In My Hands, Won’t You Come With Me, Border Child, If I Sang My Song and You Ought To Know. Adrienne Johnston wrote Bread And Wine and The Morning Of Our Love with Chris McCloud, who also contributed I Get To Thinking. These songs were recorded in the now familiar environs of Sound Techniques, London. Joining the two remaining members of The Johnstons was a band that featured drummer Phil Chesterton and Steeleye Span bassist Rick Kemp. They were joined by pianist Don Fraser, flautist Frank Nolan, fiddler Joseph Templeton and Keith Bleashv on congas. Peter Abrahamsen and Hallvard Kvale ‘played’ kazoo while Steeleye Span’s Tm Hart joined Royston Wood and Paul Brady in adding backing vocals. Paul Brady sang lead vocals and harmonies, plus played acoustic and electric guitar, electronic pain, harmonium and whistle. Adrienne Johnston sang lead vocals and harmonies, while Chris McCloud took charge of production. When If I Sang My Song was completed, it was released in 1972. When If I Sang My Song was released, critics hailed the album the finest of The Johnstons six-year and seven album career. Many critics thought that The Johnstons had found their sound, and the combination of folk rock and orchestrated ballads was the direction they should head in. This critics and music industry insiders though that this was what The Johnstons should’ve done years ago. Their determination not to turn their back on their roots had held them back long enough. Now was their chance to shine, and realise their potential. As a result, after the release of If I Sang My Song, The Johnstons added lead guitarist and bassist Gavin Spencer to their lineup, and returned to touring as a trio. They even got as far as working on new songs while The Johnstons toured the East Coast of America. However, the end was nigh for The Johnstons. In 1973, and after seven years and seven studio albums, it was the end of the road for The Johnstons. The band split-up in 1973, and Paul Brady who remained in New York managed to survive by painting houses and playing in Irish folk clubs. However, he left New York behind when he was invited to join Planxty for the second time. The first time Paul Brady turned down the chance to replace Donal Lunny due to his commitment to The Johnstons. That proved to be a mistake, but when Christy Moore left Planxty came calling again, and Paul Brady joined the group. By then, he was an experience singer-songwriter, who would go on to enjoy a successful solo career. Sadly, the story of Adrienne Johnston is a tragic one. For the last few years of Adrienne Johnston’s life, even members of her family and her closest friends were unable to contact her. As a result, Adrienne Johnston never knew that her father Marty, whose pub in Slane, she first sang in, had passed away. Adrienne Johnston died in 1981, and the date on her grave states the former lead singer of The Johnstons passed away on the ’27th’ of May. However, even Adrienne Johnston’s death is shrouded in mystery and speculation. While the coroner’s ruling was that Adrienne Johnston’s death was accidental, many believe that she was murdered. This stems from a conversation that the medical examiner is alleged to have had with a family member, and expressed: “concerns about this case.” Later, there were allegations that Adrienne Johnston was possibly the victim of a domestic abuse, and suffered at the hands of a partner who was controlling, opportunist. These are just allegations, and nothing has been proven beyond reasonable doubt. Paul Brady and Adrienne Johnston’s lives took very different paths after The Johnstons’ spilt-up, and one can only wonder what would’ve happened if the band had stayed together? By 1972, The Johnstons had released a trio of albums that had been released to praise and plaudits, including Bitter Green, Colours Of The Dawn and If I Sang My Song. Bitter Green with its mixture of traditional Irish music and a much more contemporary sound, hinted at what was to come for The Johnstons. They were reborn on Colours Of The Dawn which features the contemporary sound that showed a very different side to the band. The evolution of The Johnstons continued on If I Sang My Song, where The Johnstons combine orchestrated ballads and folk rock on what was their finest hour. However, it was also The Johnstons’ swan-song, who were a band who could’ve and should’ve gone on to reach even greater heights. Sadly, for The Johnstons it was a A Story Of What Might Have Been? ← COCTEAU TWINS-FOUR CALENDAR CAFE AND MILK AND KISSES VINYL.